Will Missing Texts Save Manafort From Mueller's Probe? Some have suggested that the FBI losing five months of text messages between anti-Trump investigators is a coverup of an "insurance policy" to smear Donald Trump with claims of Russian collusion in the event of a win. Others have suggested it's simply bureaucratic incompetence. 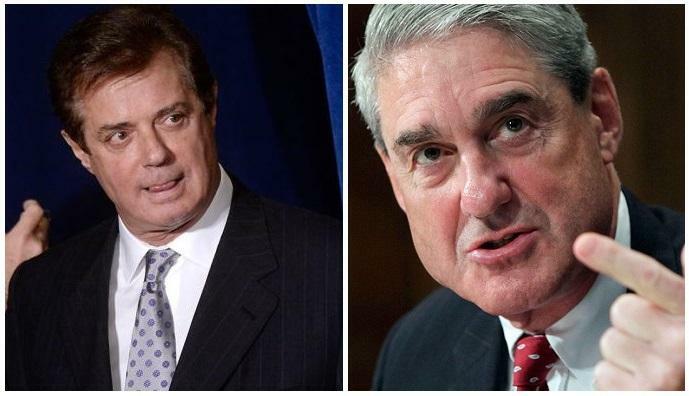 Paul Manafort's attorneys, on the other hand, are likely chomping at the bit see if they can argue for a dismissal of the federal charges against their client due to Robert Mueller's increasingly tainted probe. Look for Paul Manafort to jump all over this. He’s already fighting his indictment, claiming that Mueller is overstepping his authority and shouldn’t be running the investigation. Throw in this evidence that the investigation may have been tainted before Mueller even took over, and that the DOJ could be covering up damaging information, and a motion to dismiss alleging prosecutorial misconduct is a near certainty. Please explain the scope and scale of all records lost, destroyed, or otherwise alienated during the midyear examination investigation. Does the FBI have any records of communications between Ms. Page and Mr. Strzok between December 14, 2016 and May 17, 2017? If so, please provide those communications. Has the FBI conducted searches of Mr. Strzok and Ms. Page's non-FBI-issued communication devices or accounts to determine whether federal records exist on those nonofficial accounts? Please explain how the FBI is complying with federal records requirements with respect to these devices. Has the FBI produced text messages to the Department of Justice Office of the Inspector General (DOJ OIG) or any other FBI employees in furtherance of the DOJ OIG's review of the Clinton email investigation? If so, please identify which FBI employees' communications were produced. Has the FBI produced Microsoft Lync conversations between Ms. Page and Mr. Strzok to the DOJ OIG? Please explain. Question four is an interesting one - considering the conflicting information discovered last night between the FBI and the Office of the Inspector General (OIG). A Friday document submission from the DOJ included a cover letter from the Assistant AG for Legislative Affairs, Stephen Boyd, claiming that the FBI was unable to preserve text messages between the two agents for a five month period between December 14, 2016 and May 17, 2017 - due to "misconfiguration issues" with FBI-issued Samsung 5 devices used by Strzok and Page (despite over 10,000 texts which were recovered from their devices without incident). However - as Josh Caplan points out, the lost text messages are in direct contradiction to a December 13, 2017 letter from the DOJ's internal watchdog - Inspector General Michael Horowitz, to Senate Judiciary Committee Chuck Grassley and HSGAC Chairman Ron Johnson, in which he claims he received the texts in question on August 10, 2017. In gathering evidence for the OIG's ongoing 2016 election review, we requested, consistent with standard practice, that the FBI produce text messages from the FBI-issued phones of certain FBI employees involved in the Clinton email investigation based on search terms we provided. After finding a number of politically-oriented text messages between Page and Strzok, the OIG sought from the FBI all text messages between Strzok and Page from their FBI-issued phones through November 30, 2016, which covered the entire period of the Clinton e-mail server investigation. The FBI produced these text messages on July 20, 2017. Following our review of those text messages, the OIG expanded our request to the FBI to include all text messages between Strzok and Page from November 30, 2016, through the date of the document request, which was July 28, 2017. As one can see, the deleted text messages are not only highly unusual - but the circumstances surrounding their disappearance are highly suspect, and may even be "very very egregious" upon further analysis. We're sure Paul Manafort's legal team is drafting a motion to dismiss at this very moment.